Storms impact us in many ways and can have devastating effects on our homes. For some of us, it’s wind and lightning that have the most damaging effects. For most of us, however, it’s the prolonged, torrential downpours that tend to have a lasting impact on our homes. Foundation cracks, water seepage, and mold can become indefinite problems if not addressed, and generally tend to become worse, and more difficult and costly to fix over time. Two things happen when it rains heavily for extended periods of time. Surface pooling and total soil saturation. 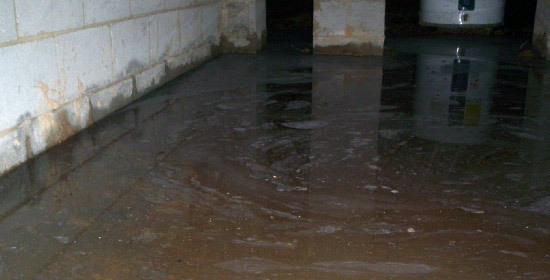 The pooling on the surface can immediately find its way into your basement through windows, the sill plate, and unsealed cracks in your foundation walls. After an extended period of time, the soil around your home may become saturated, creating a large amount of water pressure pressing against your foundation. 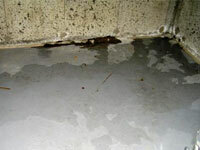 With enough pressure, water can actually begin to make its way up through the concrete joints where the walls and the floor meet, as well as through floor and hairline cracks. The best way to avoid bigger problems in the future is to have it looked at as soon as you notice an issue; whether it be sudden mold growth, hairline cracks, peeling paint, or excessive rust on appliances. These sorts of early warning indicators can save you loads of time and trouble in the long run.